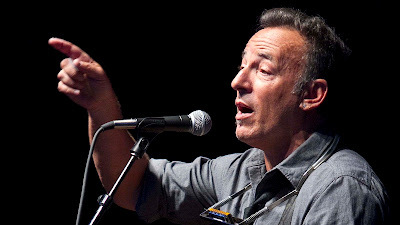 Bruce Springsteen has confirmed a date on Leeside. A couple of surprise non-Dublin dates have been announced with the legendary - and seemingly tireless - rocker first playing Limerick's Thomond Park (July 16) before heading south-east to Cork's Páirc Uí Chaoimh two days later on the 18th. Both are huge coups for the respective cities seeing as The Boss had pretty much made it a tradition of visiting Dublin's RDS every year or so. Tickets are priced between €90 and €100. Pricey I know but, for who it is and the show guaranteed (he played for nearly four hours in the capital earlier this year) it still works out as value for money and there's not many that that can be said about.